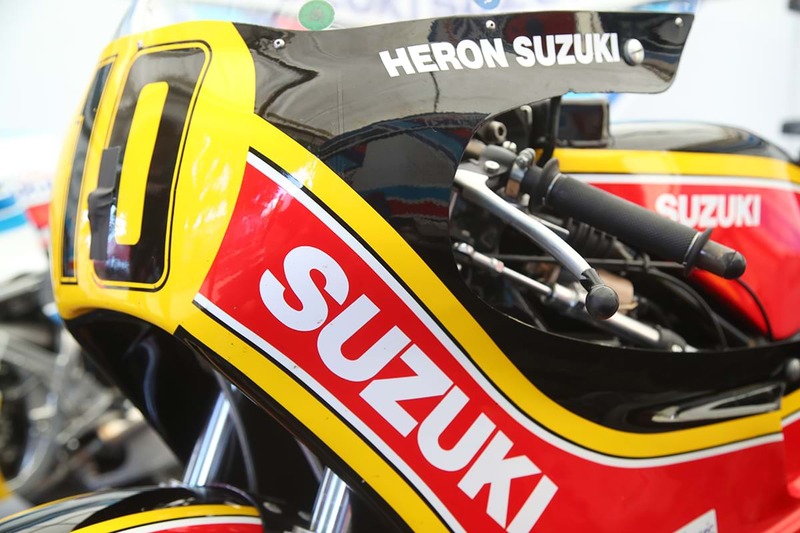 Classic Suzuki Sunday returns to the Super Sausage café this weekend (16 September), with the Japanese firm again displaying a host of classic road and race machines from its decorated history. Among the bikes on display will be Barry Sheene’s world championship-winning XR14s after a one-year hiatus last year, plus Team Classic Suzuki’s Katana, which won at Oschersleben with John Reynolds and Pete Boast at the bars earlier this year. The team’s RG500 will also be in attendance. Again taking place at the characterful Super Sausage café on the A5 near Towcester, refreshments will be on hand, while a number of Suzuki owners clubs will also display their bikes, including the popular Kettle Club showcasing a number of GT750s. Suzuki GB’s Tim Davies said ahead of the event, "It’s one of our favourite events of the year. While shows like Motorcycle Live are always big and impressive, there’s something old school about getting to an excellent café, seeing all the bikes parked up, and chatting to owners and fellow enthusiasts. "We’ve got some great bikes coming with us again this year, including Barry Sheene’s championship-winning machines which are always well received, and it’s going to be great to see the bikes that everyone else brings, too."